End Of The Vine: Twitter Says It's Closing Video App Amid Wider Layoffs : The Two-Way The social media company posted stronger-than-expected revenue of $616 million in the third quarter — even as revenue growth continued to slow. To be more efficient, it'll cut around 350 jobs. Hours after announcing a 9 percent staff cut, Twitter says it's also cutting the Vine looping-video app, which burst to popularity after its launch in 2013 but has struggled to match that growth in the past year. The shutdown of Vine, which recently claimed more than 200 million monthly viewers, will occur "in the coming months," the company says in a blog post about the move. Vine says its users will still be able to access and download their six-second videos, and it's promising to keep its website online. "We value you, your Vines, and are going to do this the right way," the company said. The news wasn't included in an earnings letter Twitter sent to shareholders Thursday, in which it announced a new round of layoffs. We've updated this post to reflect the Vine shut-down. Vine's demise comes after the ascendance of Snapchat — which could see ad revenue of nearly $1 billion next year — as the dominant short-video app. "I am in absolute shock. This is one of the top ten social media platforms on the planet. I know many, many creators who've built entire careers (and lives) on Vine. When other [Social Media] properties like Tumblr aren't making money but still raising funds this has to be a terrible mistake." There was some positive news in Twitter's third-quarter earnings report, including revenue of $616 million — up 8 percent from last year — but for it to be profitable, the company says, it'll have to shed several hundred jobs. While revenue surpassed expectations, The Wall Street Journal says it was the social media company's "smallest gain and ninth straight period of slowing growth." 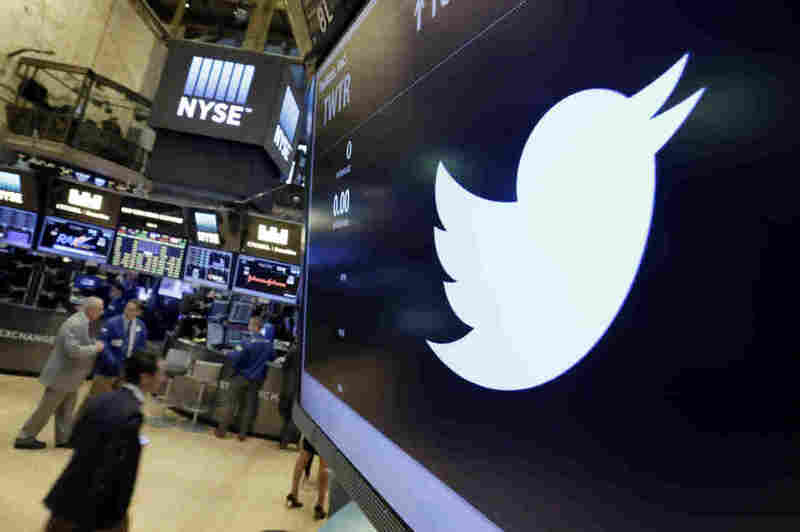 Twitter posted a loss of $103 million for the quarter. In its letter to shareholders, Twitter reported $545 million in advertising revenue — 90 percent from mobile platforms. In terms of active users, it finished the quarter with a monthly average of 317 million (67 million in the U.S.). To be more efficient, the San Francisco-based company says it'll cut around 9 percent of its global workforce, with the heaviest toll falling on sales and marketing units. Twitter had 3,910 employees at the end of the quarter, meaning around 352 jobs will be eliminated. Twitter wants to be profitable by sometime in 2017; as it tries to get there, users should expect to see more video ads, which the company says is its top revenue-generating format. In terms of its balance sheet, the company says it's now holding $3.7 billion in cash, cash equivalents and marketable securities, and that its adjusted free cash flow grew to around $80 million for the quarter, up from $19 million last year.